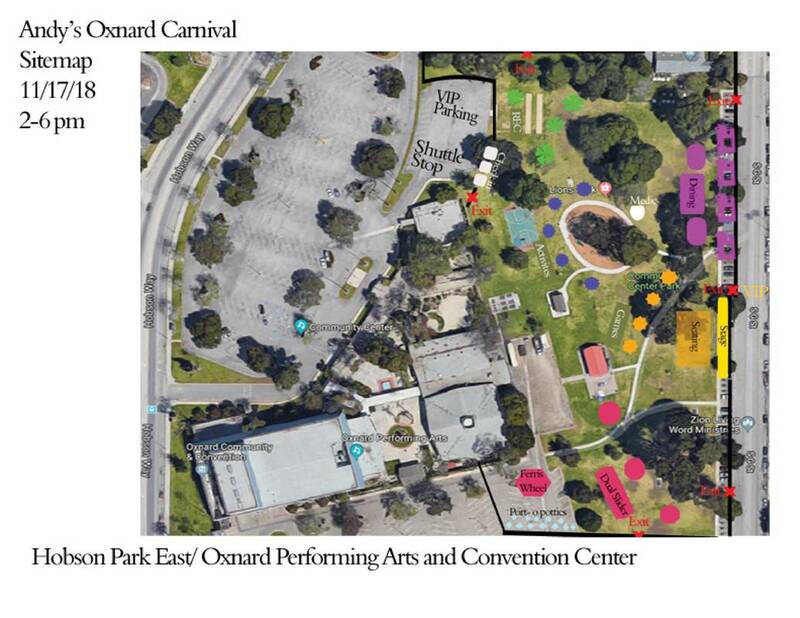 The .Paak House team is excited to have you TOMORROW, Saturday, Nov. 17, from 2 PM to 6 PM at Andy's Oxnard Carnival. (If you have tickets for the Live Listening party which is 18 and over, you will receive another email.) Please be advised that this is an all ages, family event and we want everyone to have a safe and fun day! That being said, alcohol, drugs and related paraphernalia, fireworks, weapons, gang-affiliated attire, pets (unless certified for therapy), and flammable liquids are NOT allowed into the event. There is no smoking permitted within the event. All attendees are subject to bag searches and metal detector inspections. ONLY TICKET HOLDERS WILL BE ADMITTED. If you are found to be unsafe or violating any of the park and city rules, you will be immediately removed from the event. Limited free parking is available in the main Hobson Way lot. We strongly encourage guests to take advantage of our free shuttle service, and if possible, walk to the venue. Shuttle parking is located on 328 S. B Street in downtown and loops every 8-10 minutes from 1:30 PM to 6:30 PM. Get all upcoming events straight to your inbox!